Repair order service calculations assume 25 business days per month with an average of 3 service visits per year at $257 per visit per retained customer. Fluid service calculations assume 25 business days per month with a 70% fluid test rate and fluid service cost of $80. Sales calculation assumes average front and back gross profit of $2,500 per vehicle. Our technology and marketing platform is designed to increase sales, customer retention, and service absorption. "Cash Back" earnings for sales and service visits, referral rewards, partner merchant specials, and more! Customized marketing including key tags, email campaigns, 'lost soul' recovery, social media integration and more! Seamless integration with your DMS. Earnings, enrollment, redemption and many more reports at your fingertips! What Does Our Platform Include? All the tools you need to motivate your customers to come back, and continue spending at your dealership! "Cash Back" Rewards: You decide how much to reward your customers when they purchase a vehicle, service contracts, or aftermarket items. Plus you decide what percentage they earn with each customer pay dollar spent in service. 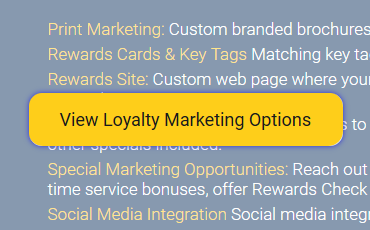 You can even provide bonus rewards for Warranty Work, Manufacturer-paid services, and even for returning surveys. It's your program; you set the rules! Bonus Rewards: Run custom bonus campaigns; buy 4 get 5th FREE, Double Rewards, Triple Rewards, etc. to boost revenue. Special Reward Options: You can offer local partner merchant specials, family rewards transfers, or develop your own special reward criteria. 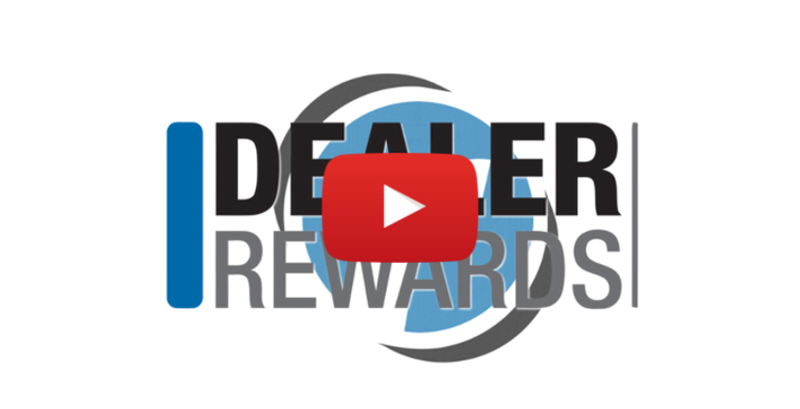 The Dealer Rewards Loyalty Platform allows your customers to earn rewards that spend like cash, only at your dealership. Customers won't throw away money they earned, so start profiting today with an affordable, easy to use rewards program. Print Marketing: Custom branded brochures designed to your specifications to help you market your rewards program. 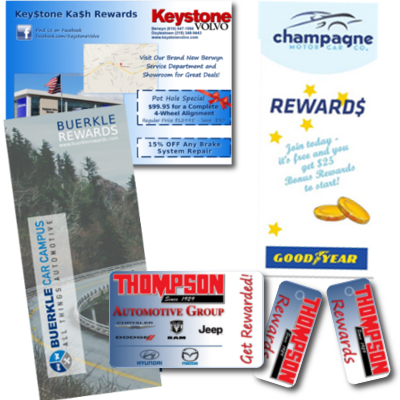 Rewards Cards & Key Tags: Matching key tags and rewards cards to keep your dealership on your customers' minds. Rewards Site: Custom web page where your Rewards Members can access their account information and your staff can manage your Rewards Program. 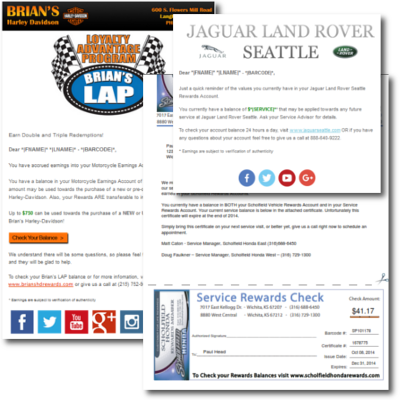 Email Campaigns: Quarterly email blasts to all your Rewards Members with their Rewards Account balances and optional sales, service, or other specials included. Special Marketing Opportunities: Reach out in print or online to all or a targeted group of your customers and recover "lost souls," give first time service bonuses, offer Rewards Check fulfillment, run rewards specials like buy 4 get 5th FREE, DOUBLE Rewards earnings and more! Social Media Integration: Social media integration with Facebook to promote your dealership's Rewards Program and quarterly specials. 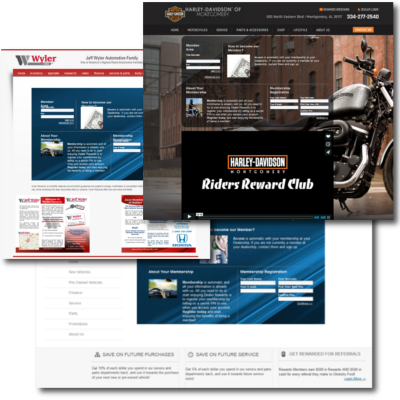 Dealer Rewards offers many ways to market to your customers using our rewards platform, so you can reach new customers and retain your existing customers. With dedicated help each step of the way, you have a powerhouse of marketing options available with the Dealer Rewards Platform. 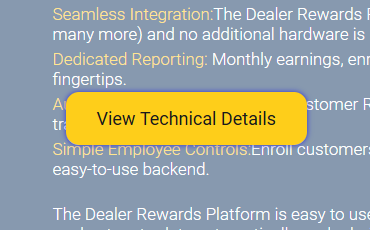 Seamless Integration: The Dealer Rewards Platform Integrates Seamlessly with your DMS, (Reynolds & Reynolds, ADP, Automate, DealerTrack, PBS, Quorum, Lightspeed, Talon, Lightyear, DealerVu and many more) and no additional hardware is required to use the platform. Dedicated Reporting: Monthly earnings, enrollment, redemption, lost soul, first time service, elite status and many other reports are at your fingertips. Automated Data Management: Customer Rewards Accounts stay updated automatically and do not slow down your staff with additional transactions at the time of sale. Simple Employee Controls: Enroll customers, issue rewards dollars and gift cards, lookup balances and redeem transactions all from an easy-to-use backend. The Dealer Rewards Platform is easy to use and sets up quickly, so you can be up and running in no time. Customer Rewards Accounts are kept up-to-date automatically, and administration for your employees is a breeze. The inner panels of the Report Card have a five spot test sheet framed by the diagnostics charts. They also include instructions for test and analysis and helpful customer information. The exterior panels provide your customer with an overview of the science of chromatographic analysis, the importance of performing preventative maintenance and the benefits of servicing depleted fluids. The center panel provides documentation space for customer & vehicle information as well as the service provider name and location. 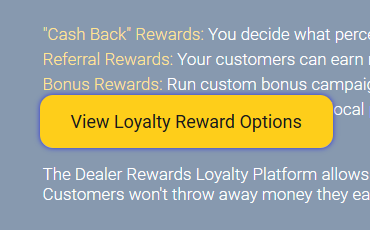 Why choose Dealer Rewards? Find out what we can do for your dealership. Our Dealerships see an increase in: customer pay at the service bay, sales of F&I products, repeat sales, service absorption, referral sales, and more, translating into increased revenue for the entire dealership! Your Rewards Site is an easy to use page where customers can log in and see their rewards balance, and your employees can log in to manage your rewards program. On demand print campaigns custom designed to target 'lost souls,' announce specials, or any other message you choose. Brochures and other POP materials to help your program take off. Regularly scheduled account update email blasts, plus on demand emails to promote special offers and target any customer group. Social media integration to get the word out even further. • A drastic reduction in institutionalized discounting; saving them tens of thousands every month! • A drastic increase in repeat vehicle sales to their rewards members at higher gross profits per unit. • Rewards Members visit the dealership almost twice as often as non-members! Sign up for loyalty marketing tips and tricks delivered to your inbox.